Super Smash Bros Ultimate brings back every single fighter in series history. With such a huge roster of fighters to choose from, we figured we’d breakdown all the details we know about each one, from the changes since the last game, to what alternate costumes there will be this time around. This guide is concerned with Bowser. We’ll give you all the info we know so far about Bowser in Super Smash Bros Ultimate, including Bowser's moves set and alternative costumes. We’re building guides on every single fighter in Super Smash Bros Ultimate. Be sure to check our Super Smash Bros Ultimate Characters Hub regularly to see if we’ve covered your favorite character, and to see how much has changed since the last game. 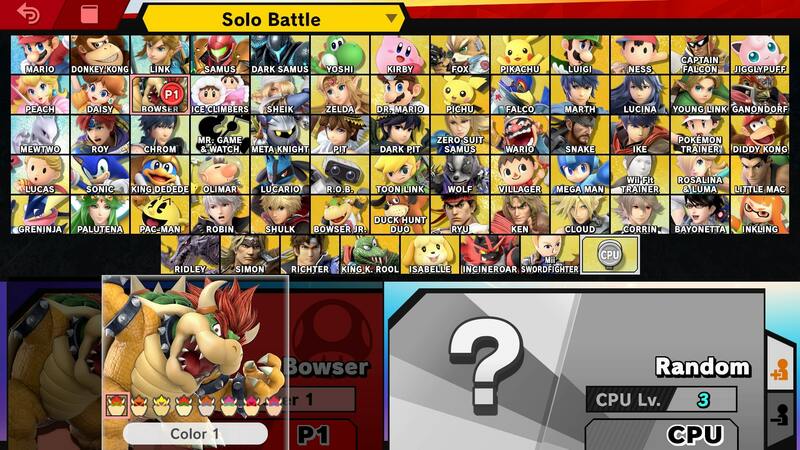 Given that Mario is once again in Smash Bros, it’s unsurprising that they’ve brought back Bowser to keep him in check. Bowser has always been an incredibly useful fighter, and thanks to some subtle changes, he’s better than ever in Super Smash Bros Ultimate. In this guide we’ve got all the changes, moves and outfits for Bowser. Let’s get started. We've detailed all of Bowser's Special Moves in the table below. 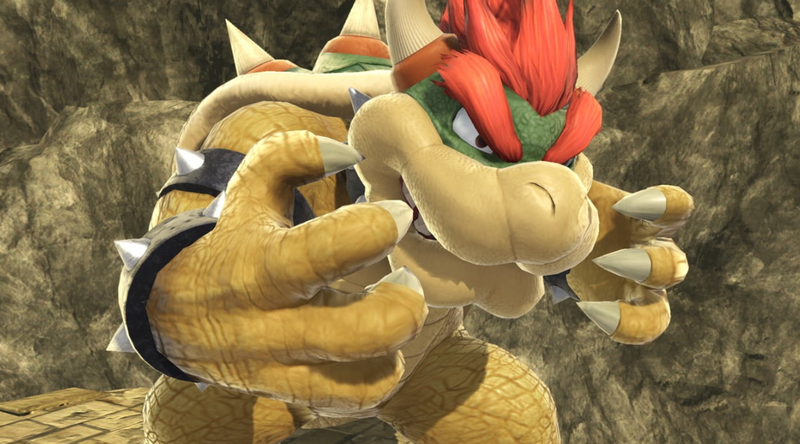 You'll find info on how to perform all of Bowser's special moves and Final Smash. Bowser has gone through a fair few changes since his appearance in Super Smash Bros Wii U. Mostly, the changes are subtle tweaks to some of his moves, including differences in animations and damage output. We’ve gathered all of the changes to Bowser in the list below. Just like in the previous game, Bowser has a range of variant outfits. They are mostly just small variations and palette swaps, with orange, purple, yellow, green, red and blue versions available. It’s possible that there may be more, perhaps his wedding costume from Super Mario Odyssey, but we will have to wait and see to know for sure. Bowser’s Final Smash has been drastically altered for Super Smash Bros Ultimate. 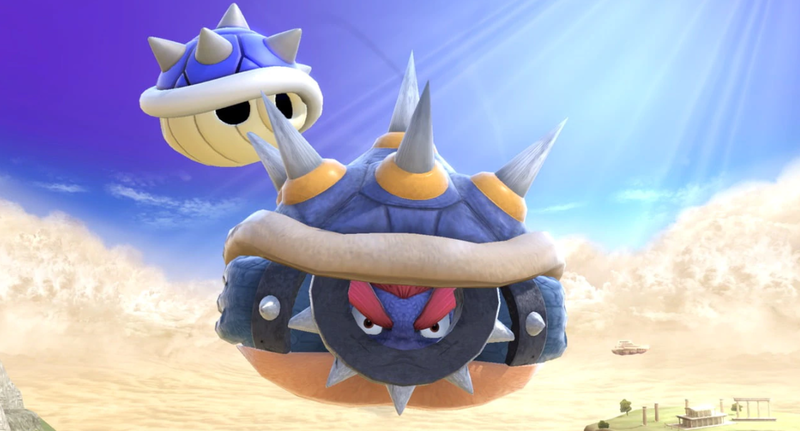 It’s still the Giga Bowser move you know and love, but is more akin to its use in SSB Brawl. Giga Bowser moves to the back of the screen and grows to giant size. He then aims and triggers a punch which has the potential to KO everyone on the screen. At the very least, the move causes huge knockback damage, and is a seriously formidable move. That’s all the info we have so far on Bowser in Super Smash Bros Ultimate. Be sure to stay tuned for more guides on the rest of the roster. If you’re looking for more on the game itself, head over to our Super Smash Bros Ultimate Guides Hub.